There is a certain non-definable intuitiveness to learned skills in sports that we like to refer to as art. Throughout golf history there have been documented great putters who had strokes that no one would emulate today and certainly no one would use their putters. Modern experts who analyze the past say that the great putters developed a high degree of skill in the art of putting and they seemed to be able to “will” the ball into the hole. I really believe this to be true. Maximum results will never happen unless putter properties are mechanically correct. Why Are Pros So Great? 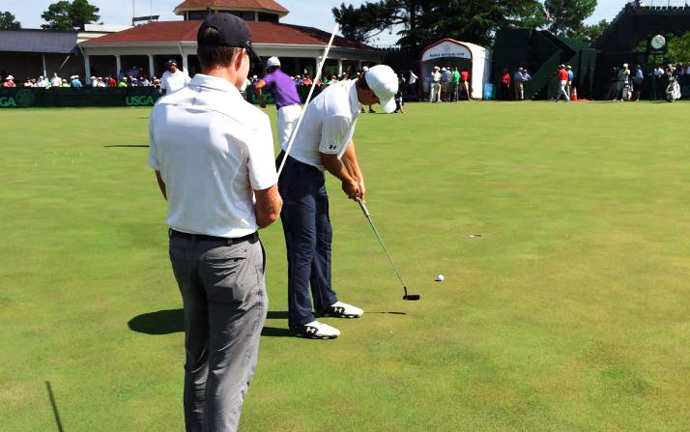 Let’s talk about the modern great putters, the successful tour players. Through almost infinite hours of practice they develop a feel for the speed of the greens and the proper break. They get to know the different grasses around the country and around the world as though it is second nature to putt on them. The putter itself becomes a comfortable extension of their arms and mentally they feel they are in total control and feel they can sink any and every putt. 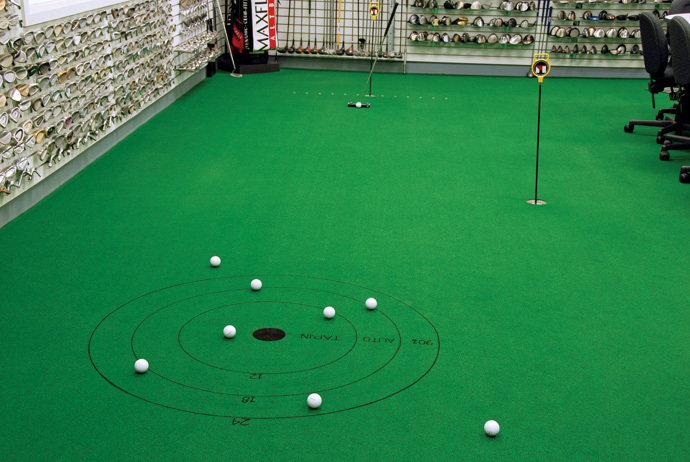 The art of putting is certainly real, but is there more to it? There is a way to go beyond the art aspect to help everyone’s putting from the new beginner to the finest putters in the world. First of all you can not separate out the science part from the art part and say that either one will get you to where you want to be. It takes both to be a great putter. Also, there is no definable mix of the two that is just right to putt better. What it takes is this: There are many mechanical aspects of the entire putter as well as mass and dimensional qualities of the putter head that can easily cause a golfer to be swimming uphill, no matter how skilled in the art he or she is. If these putter properties are not mechanically correct and they are not the proper qualities for the individual golfer, maximum results will never happen. Maximum results in putting (beyond the art) occur when all the other technical and scientific variables that negatively affect the putt are eliminated or minimized. More specifically, the lie needs to be exactly correct for best directional control, the loft needs to raise the ball slightly to minimize skid and maximize roll, the length needs to position the golfer properly for an accurate repeating stroke, and the swingweight needs to be in the correct range for proper feel and best distance and directional control. Not to be overlooked is the importance of selecting a putter head design that complements the golfer’s skill level. Regarding the proper putter design, the Maltby Putter Playability Factor is a major advancement in helping golfers putt better, because it takes into account the player’s ability to impact the ball on or near the putter head’s center of gravity and recommends putters that work best. The proper putter design is paramount in achieving best distance and directional control.